Easy DIY coasters using leftover tile and Mod Podge! 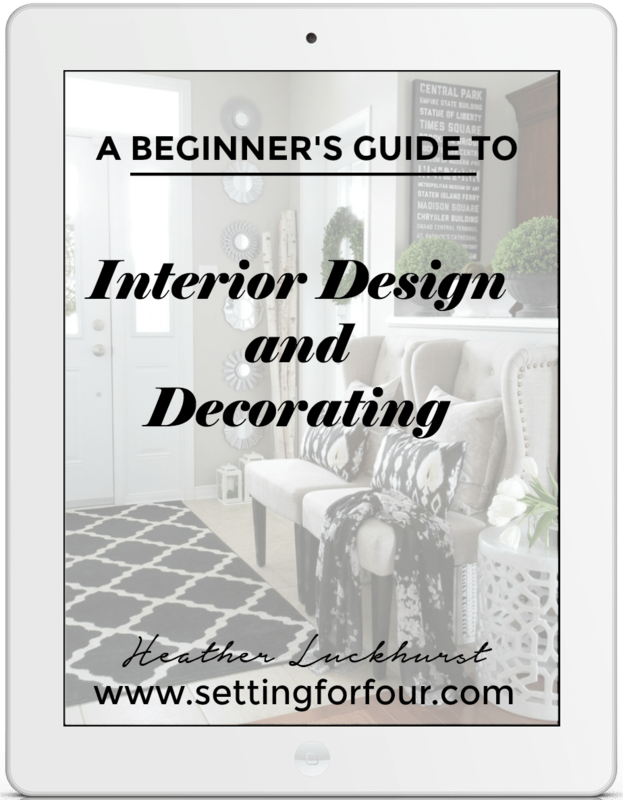 Quick and easy DIY Decor accessories for your home or for a gift! 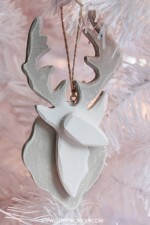 Inexpensive gift ideas for: stocking stuffer, Mother’s Day gift, teacher gift, neighbor gift or hostess gift. I love drink coasters and who doesn’t need some new ones? Most of the tutorials I have seen are for tile coasters, using tiles found at Home Depot or Lowes. Although I went to Lowes and took a look, I just didn’t like the size – I found them to be a bit too big. However, I found these coasters at the Dollar Store. What’s great about using these instead of tiles is that they already come backed with cork, so you don’t have to add anything to protect your tables. It’s already done! 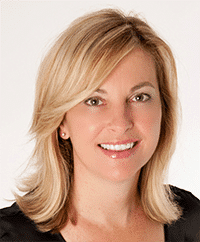 – Measure your coaster and cut out a piece of scrapbooking paper to size. – Apply Mod Podge to back of paper and apply to coaster. – Press firmly to ensure there are no bubbles and all edges are glued down. – Apply one or two layers of polyurethane to seal. 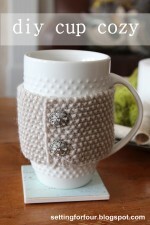 See this DIY Cup Cozy Tutorial here! 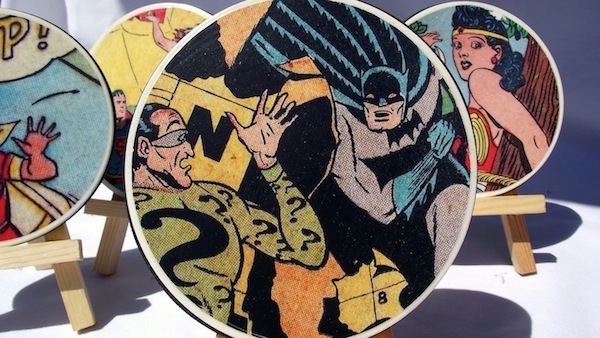 ….If you love this blue script scrapbook paper that I used to make these coasters then check out my…..
Here’s a Comic Book DIY Coaster idea using pages from comic books! How fun! 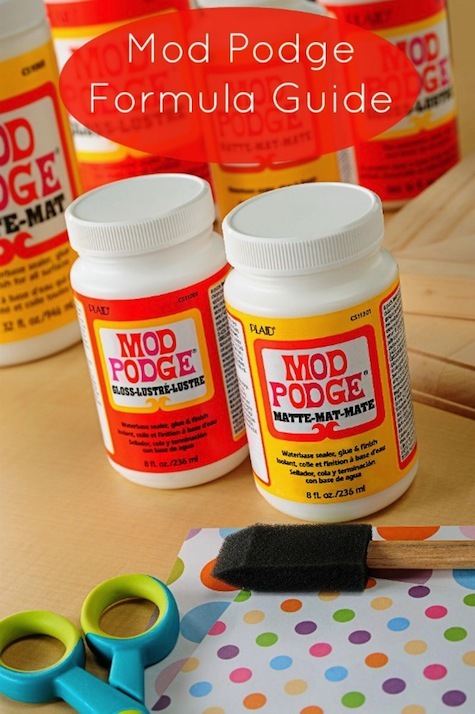 Get your Mod Podge Formula Guide! I found a box full of tiles at Salvation Army several months ago that I haven’t done anything with. My plan was to use them for coasters, but I didn’t know what I wanted to put on them. I think I do now! Thanks for the inspiration!!! And your cup cozy is adorable!!!!!!!!! Love the coasters. I wonder if Pottery Barn will be knocking those off from Setting for Four? And, why wouldn’t I expect your cup cozy to be well accessorized? I can’t wait to see that tutorial! Those coasters are too cute and look super easy! Nice job! Awesome DIY! Your blog is amazing. I’m a new follower! 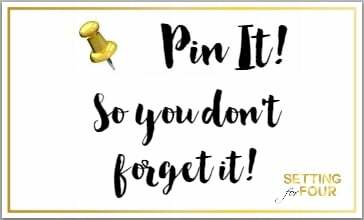 I’d love for you to come check out my blog & follow! Great project! I keep saying I’m going to make a set of these too, then I don’t. But you’ve made it look so easy. . . Thanks! P.S. love the button cup cozy, too! I adore anything script and these are AWESOME!!! Thanks for coming up with a super simple way to do it…I think I have that exact scrapbook paper in my drawer too! Crazy! 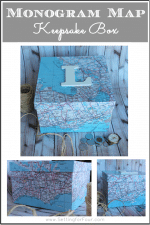 What great paper to put on these–thanks for linking up! LOVE these coasters – the scrapbook paper was the perfect choice! How easy, cheap and adorable! I love the script paper you chose. Thanks for sharing on Show Off Saturday. Can’t wait to see how you made that cozy! These are fantastic! I’m going to have to DIY some myself. I just love the paper you used on the coasters. Just lovely. I found your blog from Made you look link party. I enjoyed looking around your lovely blog. I am a new follower, love for you to stop by http://www.homesweetbutterfly.com Have a great weekend and Happy Easter. Visiting from Too Much Time On My Hands… Love those coasters! Very cute! I can’t wait to see how you made the cozy! That’s awesome! Those are so cool! I really love the paper too! Smart shopping… I’m always amazed at Dollar Store finds. I also love that cup cozy with the buttons. Nice job. Saw you at Twigg Studios. The paper you used for these is so pretty. 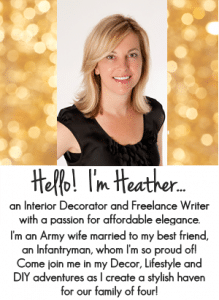 Did you use polyurethane on yours? 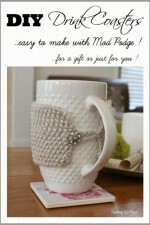 I would think Mod Podge would disolve or get sticky if any hot drink got onto it? Anyway, your coasters are beautiful! Love the paper you chose!! What a cute idea! I love your coasters. I have been wanting to do this forever but just haven’t gotten to it. Thanks for sharing on Blog Stalking Thursday! These are fantastic! Had to share them on our FB page! Thanks for linking up to the RRR transformation party! Love these and I love the idea of reusing other coasters. Do you find they stick together? I made some with outdoor modpodge and then put the modpodge sealant on them also but they still seem to want to stick together some. Just looking for a solution. Those turned out really cute! Very original – love that! These are so pretty! I love the papers you used! I’m so inspired to try some myself now! Thanks! OMG, how cute are those? I love the cup cozy and cannot wait for that tutorial as well. I am a first time visitor from Twigg Studios and I plan to subscribe pronto. . . fantastic blog! Oh wow. I haven’t been to the Dollar Tree in a while soooo…. And I can’t wait until your cup cozy tutorial! Beautiful coasters! I tried to make some before but because my tiles weren’t flat they didn’t turn out well. I think you’ve inspired me to try again! I have some tiles that have been sitting around for a year and I haven’t been able to turn them into coasters because I keep forgetting to buy cork for the backs. I think I might do something else with those tiles and look for the same ones you got at the dollar store. So much easier. I’m all about quick and easy crafts lately. I’m a new follower. I hope you can return the favor. Love these ocasters too – thanks for sharing, I’ve pinned them ! Wow, I really love your projects so much. You are just making my day with these cool coasters. Need to make the backyard more grown up. Kids toys have taken over! That is great to know that the ones at the Dollar Store have the cork on the back. 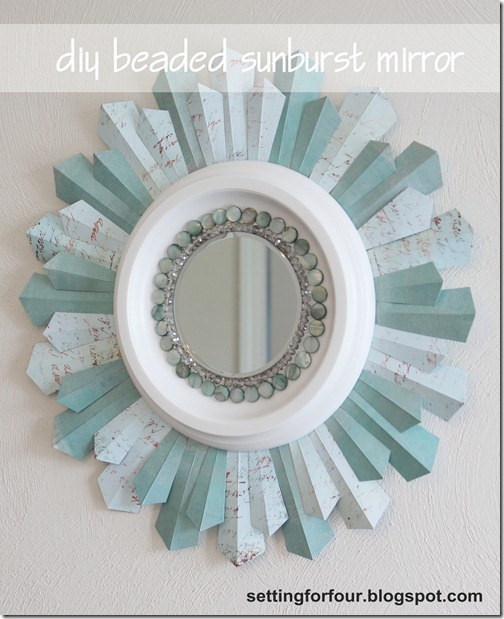 With so many paper options the possibilities for this project are endless, great job! Thanks for sharing at the Inspiration Gallery party!